This Hen Party Willy Metallic Confetti is perfect for a naughty night out! It's great for sprinkling over tables and including in gift bags, as well as for throwing at the happy Bride to be on her big night out! 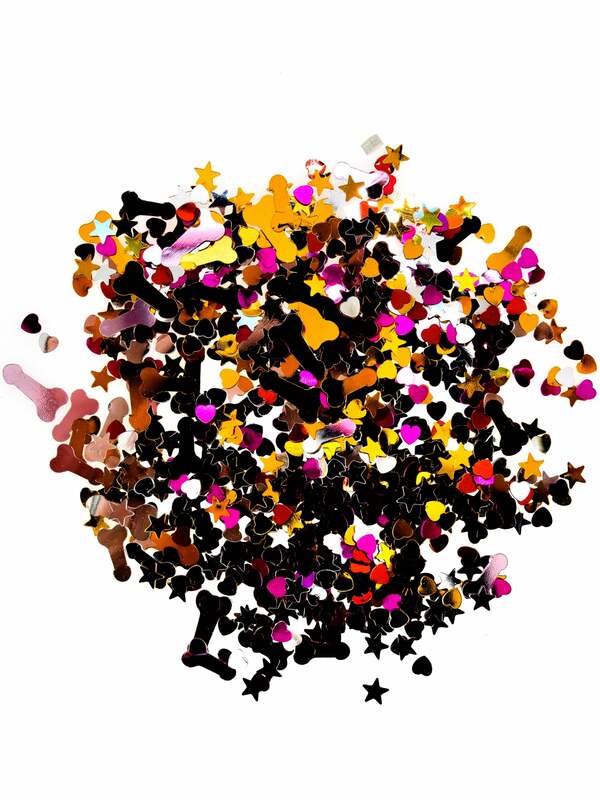 The confetti contains willy, heart and star shaped metallic foil pieces. Why not put some in a gift bag for your hens with a selection of other naughty treats such as a willy whistle or a kissing bell keychain?